Successfully Added Qi Wireless Car Charger - 3 Coils, 90 Degree Tilt, Locking Clamp, WPC QI 1.1.2 to your Shopping Cart. 3 Coils Qi Wireless car charger makes it easier to recharger you Smartphone and other Qi enabled devices on the go. With 3 coils this Qi charger is ideally suited to quick easy charging on the go. The benefit of 3 coils is that you don't have to worry about placing your devices perfectly in the centre of the chrager. with 3 overlapping coils its easier to mount and Qi device as there is an increased area for charging. This Qi charging pad is adjustable to fit phones between 80 and 65 mm wide such as the Nokia Lumia 920, LG Nexus 5/4/7 and Galaxy S3/S4/S5 range of phones. The soft rubberized base grips your cars dashboard without the need for any adhesive or screws so no marks will be left behind and setup is easy. 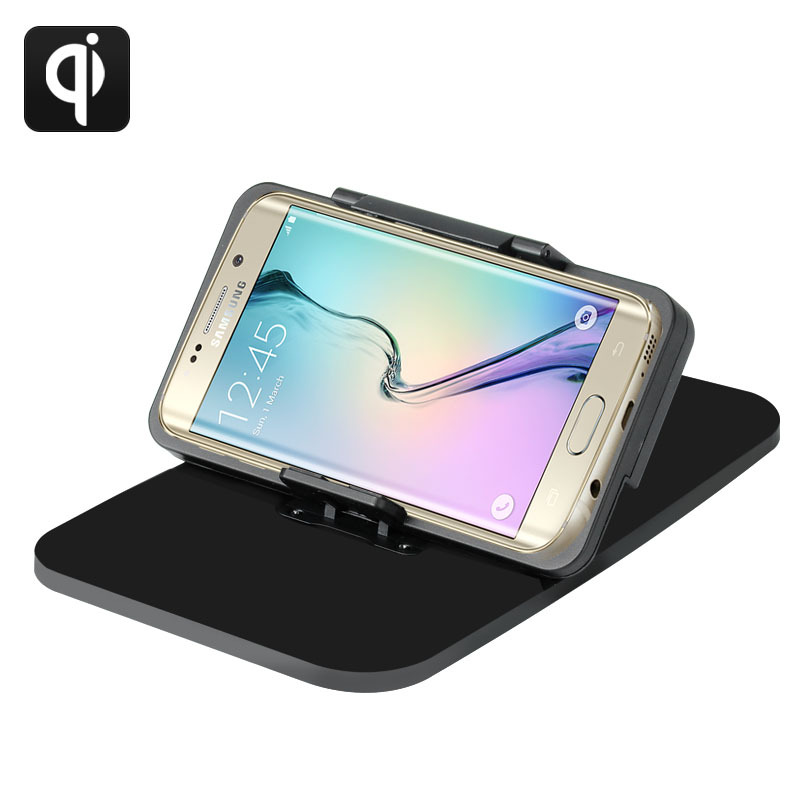 Tilting up to 90 degrees the Qi wireless charger makes it easy to use your phones GPS when driving. It can be connected directly to a car's lighter plug and with WCP Qi 1.1.2 compliance is suitable for most Qi wireless devices or those equipped with a receiver card. This Car Qi wireless charger comes with a 12 months warranty, brought to you by the leader in electronic devices as well as wholesale electronic gadgets and phone accessories..